Maintaining a log cabin is not any more difficult or exhausting than keeping a traditional house. However, there are a few unique issues related to log homes that are different than a conventional wood-framed house. Focus on the dark patches. In these areas, the rain moistened the logs, resulting in growth of mildew or mold. The best solution for cleaning this is with a solution of equal amounts of water and bleach. Wet a soft brush with the solution and cleanse the area gently. Re-stain after some days when the area is completely dry. Logs can crack over time. In the first couple of years, they are exposed to a variation of the seasons and local humidity. Hence they tend to contract, swell, and check. This process is something common and does not change the integrity or strength of the logs. Caulk regularly as part of your log cabin maintenance in the first few years, so that the logs get used to a moisture equilibrium. If the cracks are bigger than a quarter of an inch, you have to seal them with caulk. Containing great sealant capabilities so that bugs and water are sealed out. If the checks are even bigger, fill the crack with a backer rod and apply caulk over it. The foam will enable regular contraction and expansion of the wood without breaking the caulks bond. 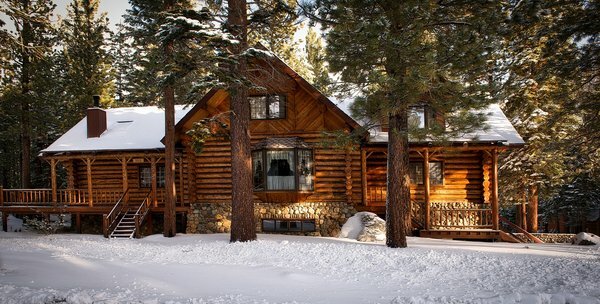 Even though this sounds tiring, this area of log cabin maintenance gets easier with time. Another good tip is to use expanding insulating foam sealant to handle the gaps around your door bucks and windows. If cold air from outside comes in around the windows and doors, remove the trim boards and check that the bucks have been sealed properly. Spray some water on the logs to check the condition of your stain. It is all good if the water beads up and runs down. If there’s a need to renew the log stain, you will have to work on the wood first. Rub off the cobwebs and dirt, and gently cleanse the patches of mold or stained areas, if any. You can start staining once the logs are dry and all checks and cracks caulked. You will have to apply oil-based stains every 5-7 years, and water-based ones after every 3-5 years. Many people find it difficult to use water-based stains as they are thin. To prevent the stain from running down along your arm, use disposable nitrile gloves or rubber gloves and make sure you’re wearing old clothes. Apply gutters if there are none on your log home. If you already have gutters, keep them clean to avoid rain from overflowing and splashing on your logs. Along with this, you have to ensure that the design is such that the downspouts lead the run-off away from the log cabin. 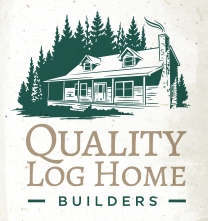 For more information, contact Log Home Builders at 919-202-4428. This entry was posted in Log Cabin Homes and tagged log cabins, Log Home Builders, log homes, maintinaing a log home, Raleigh NC. Bookmark the permalink.